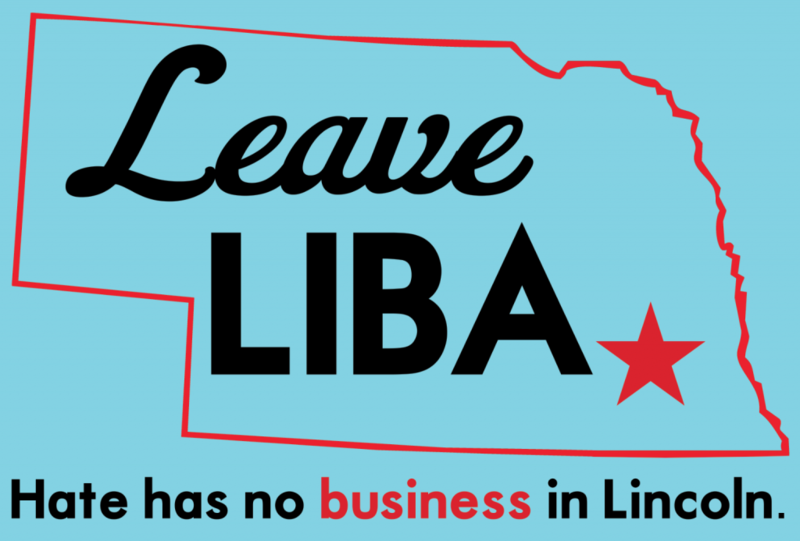 Leave LIBA – Hate has no business in Lincoln. LIBA (Lincoln Independent Business Association) is a “non profit” that has become increasingly entrenched in some of the most harmful and partisan policy positions in Lincoln. From backing anti-gay candidates to defunding firefighters and public works, LIBA has become a force for eroding our community. We want our city to be better than the values LIBA represents and we call on all community-minded businesses and entrepreneurs to divest from this organization. Leave LIBA: hate has no business in Lincoln. In 2016 the Lincoln Journal Star published an editorial that explains some of the alarming developments with LIBA, which provides a generous salary to its president, Coby Mach, who uncomfortably mixes a large local business lobby, an official position with the Republican Party, multiple conservative PACs, and control of local media outlets. The combined thrust of all of this has pushed some of the most questionable and damaging policy in recent Lincoln history. Leave LIBA is brought to you by the volunteers at Seeing Red Nebraska.